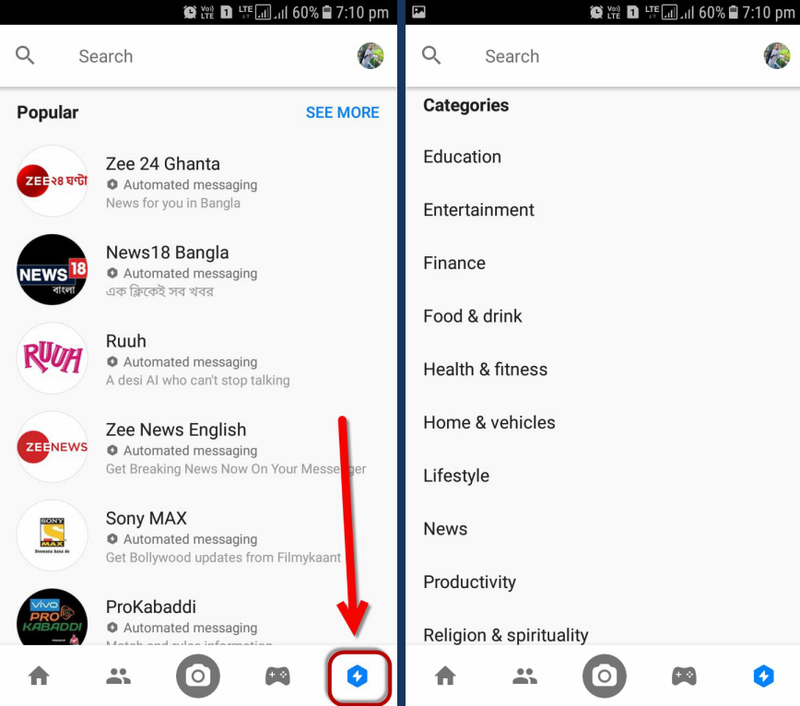 If anyone have a Facebook account then he/she must have Facebook Messenger installed on their smartphone. Messenger is now one of the most used messaging app followed by Whatsapp. Other than messaging, the app allows many other features which makes it differ from other messaging apps. In this post I'll share some tips and tricks to better use Facebook Messenger. So lets get started. You can create a quick shortcut of the frequently used contacts on your phone home screen. So that you can directly go to the desired chat threads and start conversation. 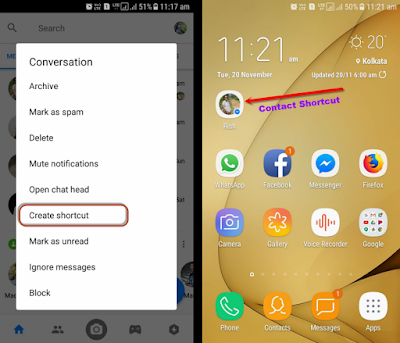 To create a contact shortcut on Messenger, simply long press on the chat you want to create shortcut for and tap on Create Shortcut on the pop up menu. 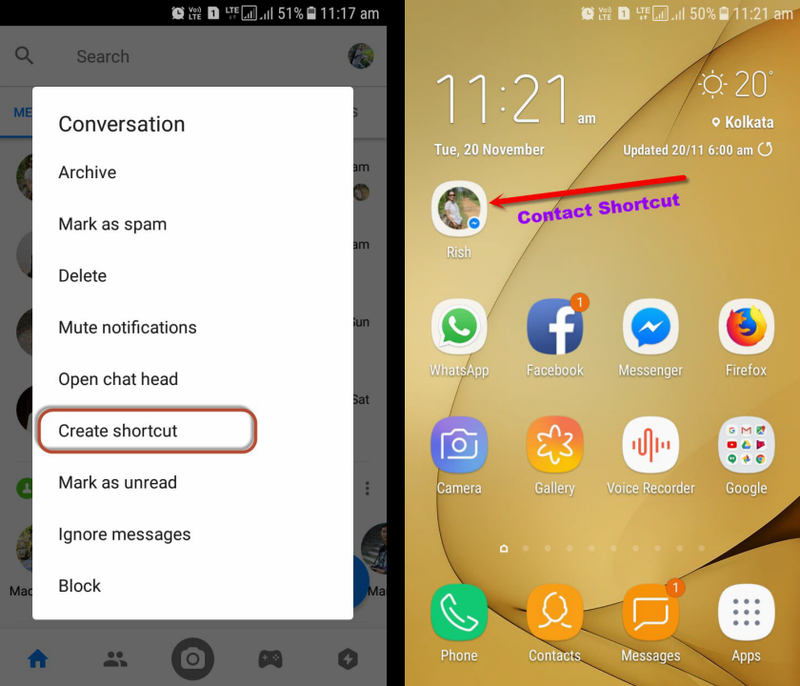 A shortcut icon of the chat head will be placed on home screen. I personally like the Messenger's floating chat heads feature. 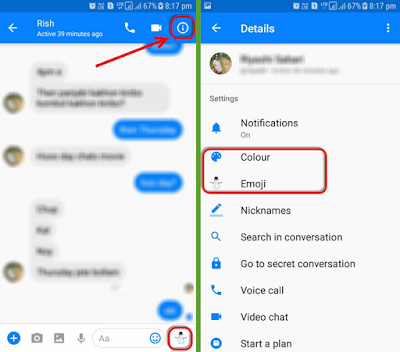 Its Facebook Messenger's one of unique feature. Whenever someone message you on Messenger, the contact will immediately float on the screen and will remain on screen until you close it. But sometime it may be disturbing when you chat with multiple contacts at the same time. 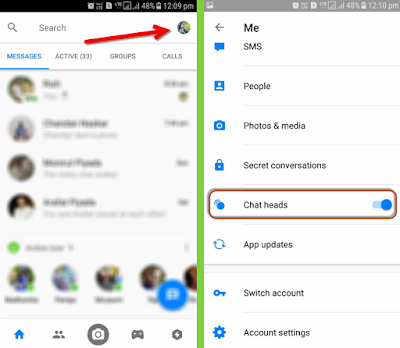 By default the Chat Heads option is enabled in Messenger but you can Disable the option in Settings. 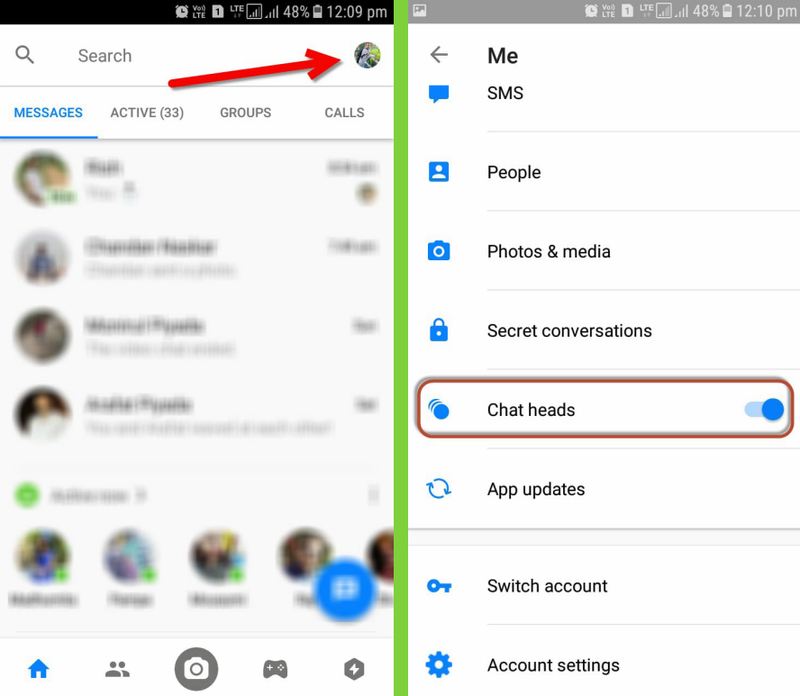 To disable the option, open Messenger, go to Settings by tapping the Profile icon in the top right corner and turn off the Chat Heads option. 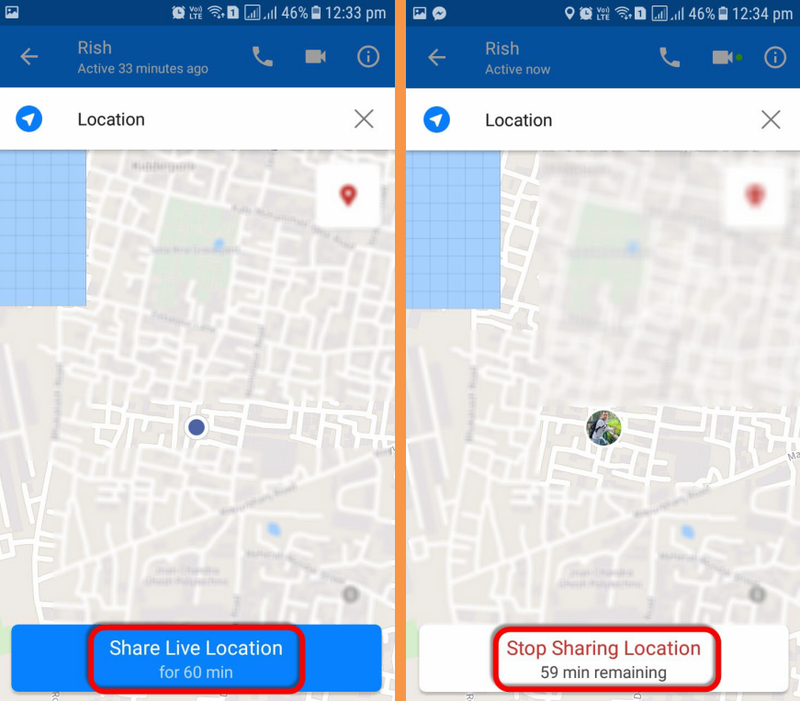 Sharing live location is not a new thing now a days. 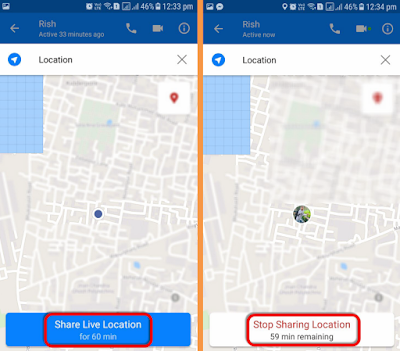 Google Map is there for do the task, Whatsapp also introduces the location sharing feature and many other apps are there for live location sharing. 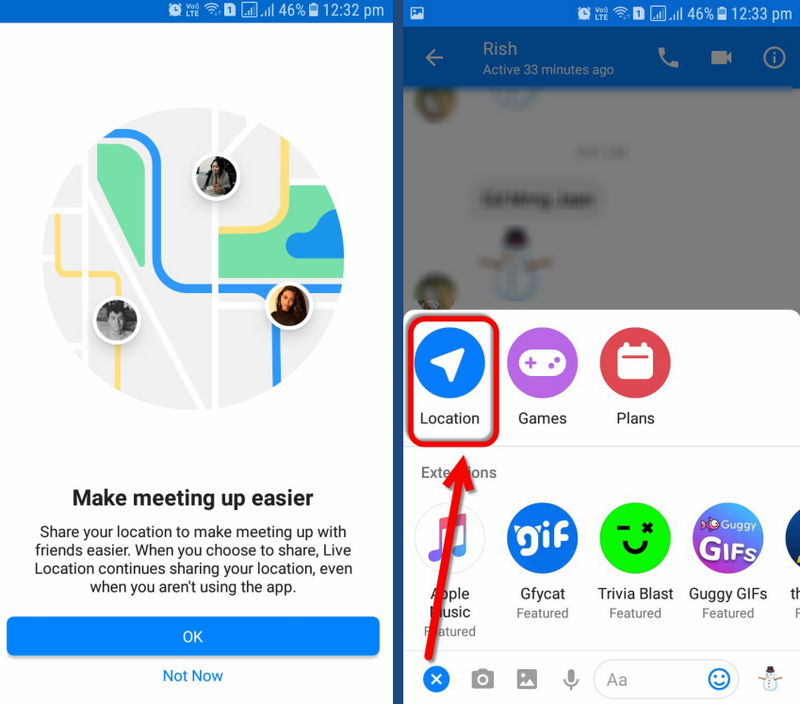 But you can also share your live location with your Facebook contacts right from your Messenger. To do that, open the contact on Messenger you want to share location and tap on the '+' icon in the bottom left corner and select Location option. Now tap on the Share Live Location for 60 min option in the bottom. You can stop sharing your live location anytime before 60 minutes, just tap on Stop Sharing Location. We all have one or more nicknames and many of our friends better known by their nicknames than original name. 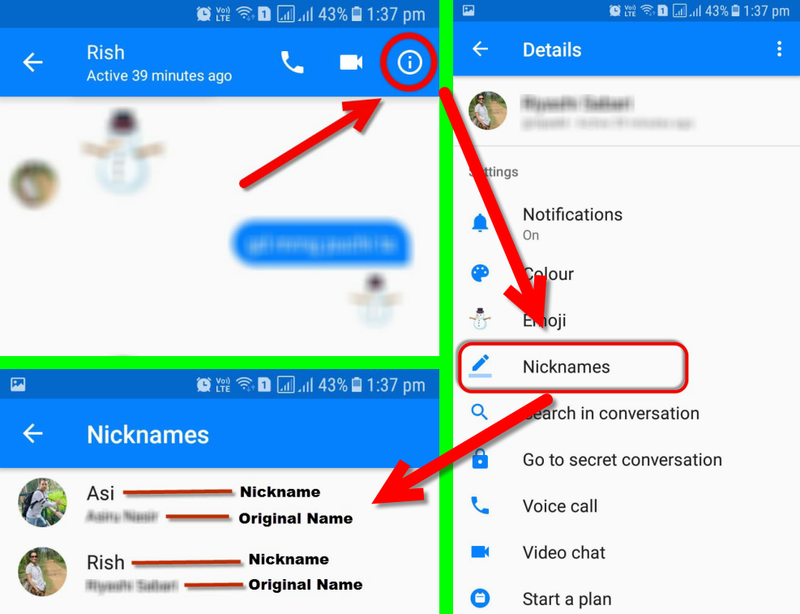 Messenger understands the facts and included the option to add nicknames for you and your contacts. To do so, simply open the contact on Messenger and tap on the details icon in the top right corner. Now tap on the Nicknames option and set nicknames. 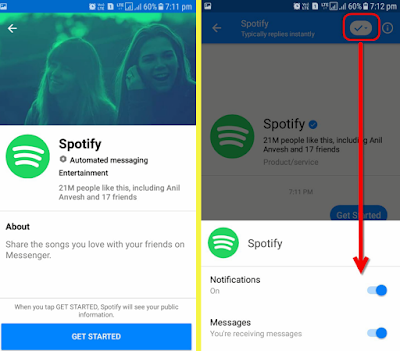 Bots or chatbots are unique addition to Messenger, can be an alternative to having multiple apps for each service. The Messenger chatbots was first developed by news organizations like CNN, WSJ to deliver news posts as chat threads without need to download their apps. There are many bots that help you book tickets, placing orders. 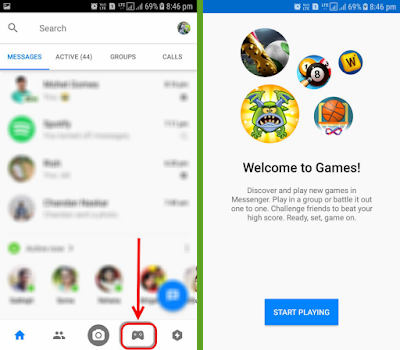 To take advantage of bots, simply tap on the Bots icon in the bottom right corner in Messenger. Select any service and tap on get started to start chating or receiving messages. You can turn on/off Notifications for new messages or anytime you can turn off messages from any particular service. 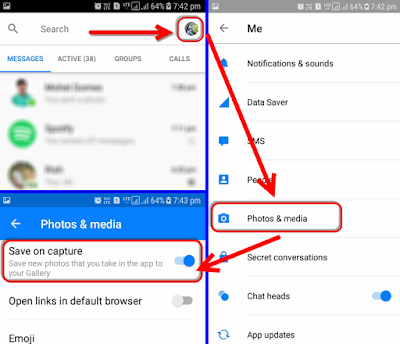 In Messenger, you have to individually save each images or videos shared with you. Simply long press on the image or video to get save option. But there is a settings to turn on/off to automatically save new photos that you take in the app to your gallery. 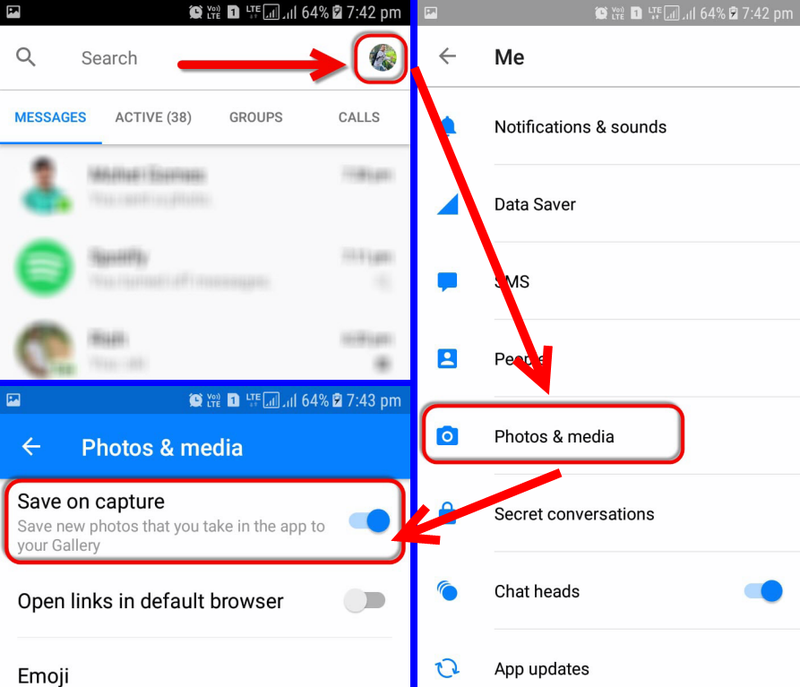 To enable auto save captured images, go to Messenger settings by tap on the profile icon in the top right corner. Now tap on Photos & media and turn on the Save on capture option. Do you know how to send Super like in Messenger? You may notice a like emoji in the bottom right corner in every chat threads. That Like button will grow in size by long pressing on it. You probably know this but do you know you can set different emoji for each chat threads? Yes you can assign different emoji to different conversation. To do so, open a conversation and tap on the details icon in the top right corner. Now tap on Emoji and select an Emoji for the conversation. 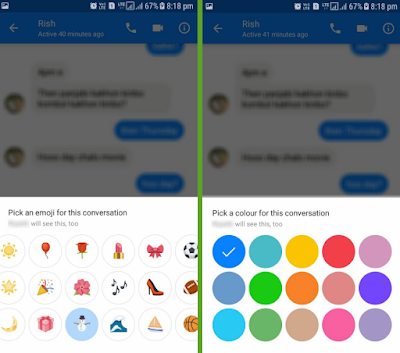 In the same way you can set color for the conversation by selecting the color option. You can play a number of interesting games right inside the Messenger app. Play games, make a high score and challenge your friends to surpass that score. Its very simple, just tap on the Game icon in the buttom in Messenger home screen and choose a game to play. 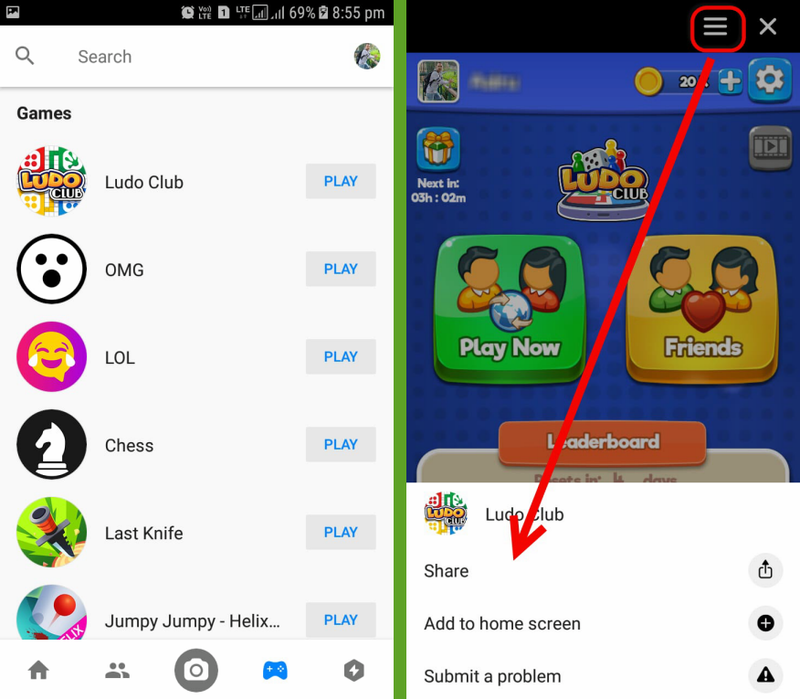 To share the game, tap on the three lines icon on the top of the game screen. 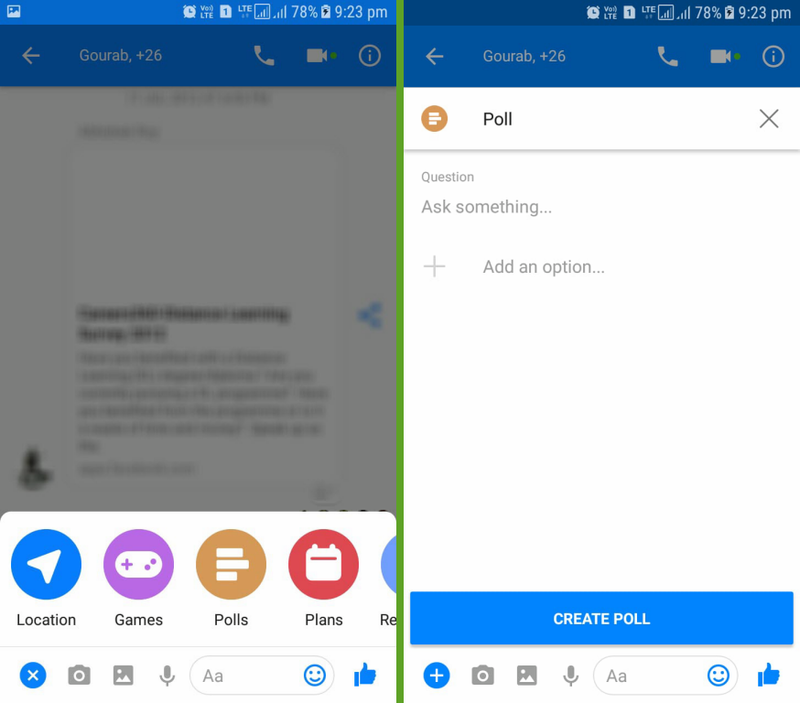 You can make a poll for your group members and set options right inside the Messenger app. To make a poll, open any group in your Messenger and tap on the "+" icon. Select the Poll option and create Poll. The members can choose their option to poll. Messenger allows you to add multiple Facebook accounts. 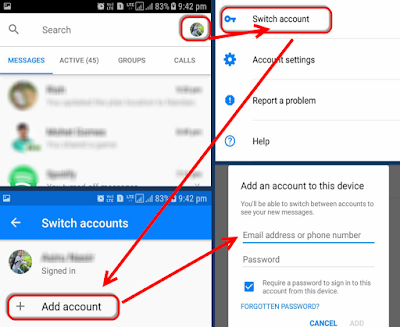 Easily switch to any accounts and start conversation using that account. 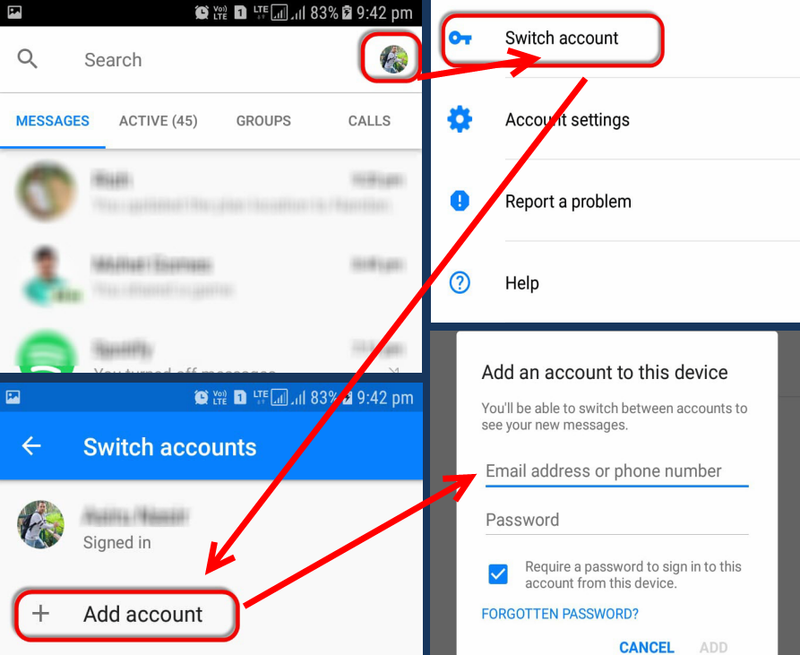 To add another account to your Messenger, tap on the profile icon in the top right corner and tap on Switch account. Tap on the Add account and enter your login details. Select any added account to switch anytime. Hope you find these Facebook Messenger tips useful for you. 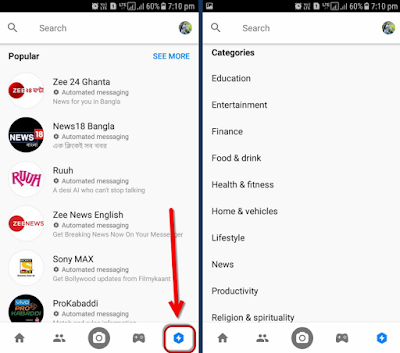 If you have anything to know about Messenger please ask in the comment.